Be there live July 7 at Soldier Field for the 2019 CONCACAF Gold Cup Final with TicketmasterVIP. Purchase your official package today so you don't miss any of the action on the pitch this summer! 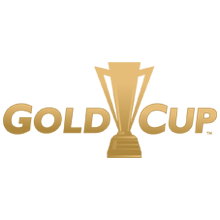 Your Gold Cup match ticket includes access to the Official Gold Cup VIP Hospitality presented by PRIMESPORT! Enhance your experience at Gold Cup with exclusive access to Official Hospitality. As part of your hospitality package, you will have exclusive pre-match access to Club PRIMESPORT, located inside Soldier Field. Come and get ready for all the action in this exclusive lounge featuring a buffet style meal, open bar, and more! SEE FULL DETAILS > Your purchase includes access to the Official Gold Cup VIP Hospitality presented by PRIMESPORT! Enhance your experience at Gold Cup with exclusive access to Official Hospitality. As part of your hospitality package, you will have exclusive pre-match access to Club PRIMESPORT, located inside Soldier Field. Come and get ready for all the action in this exclusive lounge featuring a buffet style meal, open bar, and more!